TODAY IS FALL FESTIVAL DAY - 12-4 PM IN WEST NYACK! When:?Sunday, October 22, 2017, 12-4 pm, rain or shine! Showcasing the Historic Traphagen and Vanderbilt/Budke Houses. Join the Revolution, the Glorious Cause! See how Militia men and women of the American?Revolutionary War lived in the 1770s. 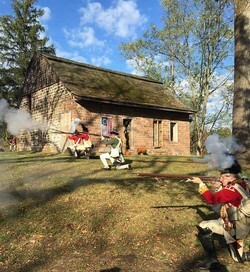 Heard's Brigade - New Jersey Militia is seeking visitors to?cheer on our encampment of 18th century tents, open-fire pit cooking, militia drills, musket firing and other?living history demonstrations. Maybe we will come upon the British and those Loyalists! 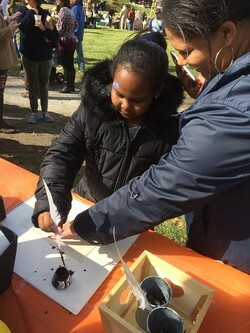 Children?s games and crafts (stencil art, writing with a quill pen and more). Come see what life was like for a?child in 1791 with the Historical Society of Rockland County. Visit with Ben Franklin (portrayed by Jack Sherry) and learn about his life as an?entrepreneur, printer, author, scientist, inventor, statesman, ambassador, and one of America's Founders. FREE parking at Germonds Park and an easy stroll on the sidewalk to the Traphagen and Vanderbilt/Budke Houses. Clarkstown Mini Bus Shuttle will also be providing transportation to and from the properties. We are very pleased to be co-sponsoring this festival with Heritage of West Nyack and the Town of Clarkstown.